Never one for show, Farkhod’s approach could be characterized as humble expertise. With his thumb squarely on the pulse of digital trends, he knows exactly what is coming next in the fast paced digital realm. And while he might characterize himself as “a bit of a nerd”, he utilizes his depth of nerdy knowledge to keep our team and our clients educated on new digital technology and capabilities, and how they can be harnessed to create impact on business. Fearless and driven, Farkhod uprooted his young family to move to Canada in 2016 from Uzbekistan, where he previously founded and served as CEO for Simple Networking Solutions which operated the most popular news website in the country. Driven by a passion to share information, Farkhod built up the site to over 5M unique readers and 40k social followers. This experience served as the foundation for his approach to digital which is to stay agile and action-oriented. Farkhod remains fluent in three languages, and after receiving his Master’s Degree in International Business and Management from the University of Westminster, went on to teach there as well as an Associate Lecturer in Web Publishing, Data Analysis and Information Management. 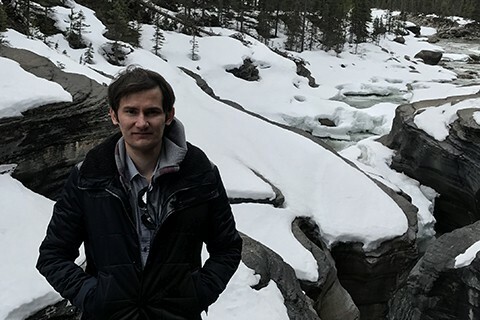 Farkhod is an avid writer as well, these days blogging mostly about life in Canada, cultural differences, and the changes he sees happening back home. Strong will and fortitude. Despite obstacles you can achieve many things most other people never do. With that will, you will be able to overcome any troubles life might throw at you. By bringing people together online to share their experiences and stories. By writing and sharing my thoughts, I hope to bring others together so they too can share their stories.